N.Kamiya, D.Mondoc, and S.Okubo. A review on δ structurable algebras. Banach Center Publications, 93:59-67, 2011. In this article, we study a characterization of anti-structurable algebras. Furthermore, A relationship of Freudenthal-Kantor triple systems. N.Kamiya, D.Mondoc, and S.Okubo. A characterization of (-1,1)Freudenthal-Kantor triple systems. Glasgow J.Math., 53:727-738, 2011. In this paper, we give a characterization of Freudenthal-Kantor triple systems, in particular, describe to balanced property of their triple systems. Moreover, a relationship of quadratic algebras. Hiroshi Kihara. Minimal fibrations and the organizing theorem of simplicial homotopy theory. Ricerche di Matematica, page in press, 2012. Quillen showed that simplicial sets form a model category (with appropriate choices of three classes of morphisms), which organized the homotopy theory of simplicial sets. His proof is very difficult and uses even the classication theory of principal bundles. Thus, Goerss-Jardine appealed to topological methods for the verification. In this paper we give a new proof of this organizing theorem of simplicial homotopy theory which is elementary in the sense that it does not use the classifying theory of principal bundles or appeal to topological methods. Hiroshi KIHARA and Nobuyuki ODA. Homotopical presentations and calculations of algebraic K0-groups for rings of continuous functions. Publications of the Research Institute for Mathematical Sciences, 48(1):65-82, March 2012. Let K0(CF(X)) &equals; K0 ?CF(X) be the K0-group of the ring CF(X) of F-valued continuous functions on a topological space X, where F is the field of real or complex numbers or the quaternion algebra. It is known that the functor K0 ? CF is representable CF is representable on the category of compact Hausdorff spaces. It is a homotopy functor which is notrepresentable on the category of topological spaces. Making use of the compactly-bounded homotopy set, which is a variant of the homotopy set, the functor K0 ? CF has a homotopical presentation by the product of the ring of integers Z and the infinite Grassmannian G1(F). This presentation makes it possible to calculate the groups K0(CF(X)) explicitly for some infinite dimensional complexes X by use of the results of H. Miller on Sullivan conjecture. Takashi Yoshida Héléne Mao Toshitaka Kajino Takaharu Otsuka Toshio Suzuki, Michio Honma. Spin-dependent nuclear weak processes and nucleosynthesis in stars. Progress in Particle and Nuclear Physics, 66:385 389, 2011. Spin dependent nuclear weak processes and nucleosynthesis in stars are investigated based on recent advances in shell model studies of stable and unstable exotic nuclei. Three topics on (1) neutrinonucleus reactions in supernova explosions and nucleosynthesis of light elements as well as Mn, (2) electron capture reaction rates on Ni and Co isotopes at high densities and temperatures in the core-collapse process, and (3) new Β-decay half-lives of N&equals;126 isotones obtained by including both the Gamow-Teller and the first-forbidden transitions, and the effects on the element abundance in the r-process at the third peak region (A ˜ 195), are studied with the use of new shell model Hamiltonians. N. Paar, T. Suzuki, M. Honma, T. Marketin, and D. Vretenar. Uncertainties in modeling low-energy neutrino-induced reactions on iron-group nuclei. Phys. Rev. C, 84:047305/1-4, 2011. Charged-current neutrino-nucleus cross sections for 54,56Fe and 58,60Ni are calculated and compared using frameworks based on relativistic and Skyrme energydensity functionals and on the shell model. The current theoretical uncertainties in modeling neutrino-nucleus cross sections are assessed in relation to the predicted Gamow-Teller transition strength and available data, to multipole decomposition of the cross sections, and to cross sections averaged over the Michel flux and FermiDirac distribution. By employing different microscopic approaches and models, the decay-at-rest (DAR) neutrino-56Fe cross section and its theoretical uncertainty are estimated to be σth &equals; (258 ± 57) × 10 − 42 cm2, in very good agreement with experimental value σexp &equals; (258 ± 108 ± 43) × 10 − 42 cm2. Toshio Suzuki1, Michio Honma, Héléne Mao, Takaharu Otsuka, and Toshitaka Kajino. Evaluation of electron capture reaction rates in Ni isotopes in stellar environments. Phys. Rev. C, 83:044619/1-7, 2011. Electron capture rates in Ni isotopes are studied in stellar environments, that is, at high densities and high temperatures during the core-collapse and postbounce explosive nucleosynthesis in supernovae. Reaction rates in 58Ni and 60Ni, as well as in 56Ni, 62Ni, and 64Ni, are evaluated by shell-model calculations with the use of a new shell-model Hamiltonian in the fp shell, GXPF1J. While the previous shell-model calculations failed to reproduce the measured peaks of Gamow-Teller strength in 58Ni and 60Ni, the present new Hamiltonian is found to reproduce them very well, as well as the capture rates obtained from the observed strengths. Strengths and energies of the Gamow-Teller transitions in 56Ni, 62Ni, and 64Ni are also found to be consistent with the observations. A. N. Deacon, D. Steppenbeck, S. Zhu, S. J. Freeman, R. V. F. Janssens, M. P. Carpenter, B. Fornal, M. Honma, B. P. Kay, F. G. Kondev, J. Kozemczak, A. Larabee, T. Lauritsen, C. J. Lister, A. P. Robinson, D. Seweryniak, J. F. Smith, Y. Sun, X. Wang, F. R. Xu, and Y.-C. Yang. Single-particle and collective structures in 55Cr and 55V. Phys. Rev. C, 83:064305/1-15, 2011. Excited states in 55V and 55Cr have been populated via pn and 2n evaporation channels, respectively, following the fusion of a 48Ca beam at 172 MeV with a 9Be target. Level schemes have been deduced for the two nuclides to excitation energies of 7467 (55V) and 12226 keV (55Cr), with spins of 27/2&plus; and 33/2&plus;, respectively. Negative-parity states are compared with shell-model calculations using three different effective interactions in the full fp model space. Negative-parity levels of 55Cr are explained in terms of single-particle fp-shell configurations outside N=28 and N&equals;32 cores. Positive-parity states in both isotopes show evidence for the involvement of neutron g9/2 configurations. In the case of 55Cr, a quasirotational structure based on the 1/2&plus; Nilsson orbital is observed up to the terminating state. In 55V, positive-parity states do not exhibit well-developed collective features, and the observation of octupole decays is an indication of their importance in transitions from neutron g9/2 configurations to the fp shell. Experimental results are compared with the predictions of a traditional shell model, the projected shell model, and total-Routhian-surface calculations. T. Adachi1, Y. Fujita1, A. D. Bacher, G. P. A. Berg, T. Black, D. De Frenne, C. C. Foster, H. Fujita1, K. Fujita, K. Hatanaka, M. Honma, E. Jacobs, J. Jänecke, K. Kanzaki, K. Katori1, K. Nakanishi, A. Negret, T. Otsuka, L. Popescu, D. A. Roberts, Y. Sakemi1, Y. Shimbara1, Y. Shimizu, E. J. Stephenson, Y. Tameshige, A. Tamii, M. Uchida, H. Ueno, T. Yamanaka, M. Yosoi and K. O. Zell. High-resolution study of Gamow-Teller transitions via the 54Fe(3He,t)54Co reaction Phys. Rev. C, 85:024308/1-15, 2012. The Gamow-Teller transition strengths, B(GT), in pf-shell nuclei are of interest in nuclear physics as well as in nuclear astrophysics. A high-resolution (3He,t) charge-exchange (CE) reaction was performed on the Tz &equals; &plus;1 nucleus 54Fe at 0°and at an intermediate incident energy of 140 MeV/nucleon for the study of precise GT transition strengths to the final Tz &equals; 0 nucleus 54Co. By applying dispersion matching techniques for a high-quality 3He beam at RCNP, an energy resolution of 21 keV and an angular resolution of 5 mr were realized. The bumplike structure of the GT resonance observed in low-resolution CE reactions at around the excitation energy (Ex) of 10 MeV was resolved in individual L &equals; 0, GT states. Excitation strengths were obtained for these GT states. If the R2 value that is defined by the ratio between GT and Fermi unit cross sections is known, the B(GT) values can be determined from the excitation strengths. For the derivation of the R2 value, the merged analysis combining the GT strength distribution from the 54Fe(3He,t)54Co study and the half-life from a 54Ni fi decay was used, where T &equals; 1 isospin symmetry for A &equals; 54 isobars was assumed. The GT strengths were compared with a shell-model calculation using the GXPF1 interaction. The final GT states can have the isospin values T &equals; 0, 1, and 2. The isospin T of each GT state observed in the 8:3Ex12:0 MeV region of the 54Fe(3He,t)54Co spectrum was identified by comparing the excitation strength with that of corresponding M1 state observed in a 54Fe(p,p0)54Fe experiment. The B(GT) values of the states identified to have T =2, in particular, are of importance for the calculation of the electron capture rates at the core-collapse stage of presupernovae. The B(GT) strengths were further compared with B(M1) strengths measured in the 54Fe(e,e′)54Fe reaction. In the M1 excitation using an electromagnetic probe, isoscalar (IS) and isovector (IV) orbital type operators are active in addition to the IV spin type operator that mediates the GT transitions. The contributions of the IS and IV orbital terms were studied by calculating the ratio of the strengths of analogous M1 and GT transitions. K. Hagino and H. Sagawa. Pairing correlations and odd-even staggering in reaction cross sections of weakly bound nuclei. Phys. Rev. C, pages 014303/pp.1-8, 2012. We investigate the odd-even staggering (OES) in reaction cross sections of weakly bound nuclei with a Glauber theory, taking into account the pairing correlation with the Hartree-Fock-Bogoliubov (HFB) method. We first discuss the pairing gap in extremely weakly bound nuclei and show that the pairing gap persists in the limit of zero separation energy limit even for single particle orbits with the orbital angular momenta l &equals; 0 and l &equals; 1. anti-halo effect. We then introduce the OES parameter defined as the second derivative of reaction cross sections with respect to the mass number, and clarify the relation between the magnitude of OES and the neutron separation energy. We find that the OES parameter increases considerably in the zero separation energy limit for l &equals; 0 and l &equals; 1 single-particle states, while no increase is found for higher angular momentum orbits with e.g., l &equals; 3. We point out that the increase of OES parameter is also seen in the experimental reaction cross sections for Ne isotopes, which is well accounted for by our calculations. K. Hagino and H. Sagawa. Odd-even staggering of reaction cross sections for 22;23;24O isotopes. Phys. Rev. C, pages 037604 /pp. 1-2, 2012. The interaction cross sections of 22,23O nuclei at 900 MeV/nucleon have been measured recently by Kanungo et al.. We show that the odd-even staggering parameter of interaction cross sections deduced from these new data agrees well with the theoretical systematics expected for the neutron separation energy of Sn&equals;2.74±0.120 MeV for 23O. We also discuss briefly the energy dependence of the staggering parameter. P. Mëller, W.D. Myers, H. Sagawa, and S. Yoshida. A new finiterange droplet mass model and associated EOS parameters. . Rev. Lett., pages0 52501/pp.1-4, 2012. The parameters in the macroscopic droplet part of the FRDM model are related to the properties of the EOS. In the FRDM (1992) version, published in 1995, the optimization of the model parameters was not sufficiently sensitive to variations of the compressibility constant K and the density-symmetry constant L to allow their determination. They were therefore fixed to K &equals; 240 MeV and 0, respectively. In the new, more accurate FRDM-2011a adjustment of the model constants to new and more accurate experimental masses allow the determination of the densitysymmetry constant L together with the symmetry-energy constant J . Our results are J &equals; 32.5 MeV and L &equals; 70 ± 15 MeV and a considerably improved mass-model accuracy σ &equals; 0.5700 MeV, with respect to AME2003 for FRDM-2011a, compared to σ &equals; 0.669 MeV for FRDM (1992) (with respect to the 1989 experimental data set). These asymmetry-parameter values are compatible with values obtained from other considerations. WenHui Long, Bao Yuan Sun, Kouichi Hagino, and Hiroyuki Sagawa. Hyperon effect in covariant density functional theory with recent astrophysical observations. Phys. Rev. C, pages 025806/pp.1-7, 2012. Motivated by recent observational data which show strong constraints on the pressure of cold matter and the mass-radius relations of neutron stars, the equations of state with the inclusion of strangeness-bearing of state with the inclusion of strangeness-bearing Λ-hyperons and the corresponding -hyperons and the corresponding properties of neutron stars are studied, based on the covariant density functional (CDF) theory, specifically the density dependent relativistic Hartree-Fock (DDRHF) theory and the relativistic mean field theory. The inclusion of theory and the relativistic mean field theory. The inclusion of Λ-hyperons in neutron -hyperons in neutron stars shows substantial effects in softening the equation of state. Because of the extra suppression effect originated from the Fock channel on the equation of state and the symmetry energy, large reductions on both the star mass and radius are predicted by the DDRHF calculations. It is also found that the mass-radius relations of neutron stars with of neutron stars with Λ-hyperons determined by DDRHF with PKA1 are in fairly good agreement with the observational data where a relatively small neutron stars radius is required. Therefore, it is expected the exotic degrees of freedom such as the strangeness-bearing structure may appear and play significant roles inside the neutron stars, which is supported further by the systematical investigations on the consistence between the maximum neutron star mass and consistence between the maximum neutron star mass and Λ-coupling strength. Oishi T, K. Hagino, and H. Sagawa. Effect of proton-proton Coulomb repulsion on soft dipole excitations of light proton-rich nuclei. Phys. Rev. C, pages 057301/pp.1-3, 2011. We perform three-body model calculations for soft dipole excitations of the protonrich Borromean nucleus 17Ne. To this end, we assume that 17Ne takes the 15O&plus;p&plus;p structure, in which the two valence protons are excited from the 0&plus; ground state configuration to 1− continuum states. We employ a density-dependent contact force for the nuclear part of the pairing interaction, and discretize the continuum states with the box boundary condition. We show by explicitly including the Coulomb interaction between the valence protons that the Coulomb repulsion does not significantly alter the E1 strength distribution. We point out that the effect of the Coulomb repulsion in fact can be well simulated by renormalizing the nuclear pairing interaction. Hongliang Liu C. A. Bertulani and H. Sagawa. Global investigation of odd-even mass differences and radii with isospin dependent pairing interactions. Phys. Rev. C, pages 014321/pp.1-8, 2012. The neutron and proton odd-even mass differences are systematically studied with Hartree-Fock&plus;BCS (HFBCS) calculations with Skyrme interactions and an isospin dependent contact pairing interaction. The strength of pairing interactions is determined to reproduce empirical odd-even mass differences in a wide region of mass table. By using the optimal parameter sets for proton and neutrons, we perform global HF&plus;BCS calculations of nuclei and compare with experimental data. The importance of isospin dependence of the pairing interaction is singled out for odd even mass differences in medium and heavy isotopes. The proton and neutron radii are studied systematically by using the same model. K. Hagino and H. Sagawa. Evidence of a pairing anti-halo effect in the odd-even staggering in reaction cross sections of weakly bound nuclei. Phys. Rev. C, pages 011303/pp.1-4, 2011. We investigate the spatial extension of weakly bound Ne and C isotopes by taking into account the pairing correlation with the Hartree-Fock-Bogoliubov (HFB) method and a 3-body model, respectively. We show that the odd-even staggering in the reaction cross sections of 30,31,32Ne and 14,15,16C are successfully reproduced, and thus the staggering can be attributed to the pairing anti-halo effect. A correlation between a one-neutron separation energy and the anti-halo effect is demonstrated for s- and p-waves using the HFB wave functions. C.L. Bai, H.Q. Zhang, H. Sagawa, X.Z. Zhang, G. Colë, and F.R.Xu. Spin-isospin excitations as quantitative constraints for the tensor force. Phys. Rev. C, pages 054316/pp.1-5, 2011. Gamow-Teller (GT) and charge-exchange Spin-Dipole (SD) excitation energies in 90Zr and 208Pb are systematically studied to determine the appropriate magnitude of the tensor terms of the Skyrme interactions. We have found that the peak energies of Gamow-Teller (GT) and Spin-Dipole (SD) excitations are sensitive to the adopted strengths of the triplet-even and triplet-odd tensor interactions. Especially the 1− SD state plays a crucial role to constrain the triplet-even part, while the triplet-odd part is related rather to the GT peaks. Among the 36 TIJ parameter sets that include non perturbatively the tensor terms, the three sets T21, T32 and T43 give reasonable results for the peak energies in comparison with the experimental data. The sign and magnitude of the tensor terms are also discussed when these terms are added to the existing Skyrme interactions SGII and SLy5. The triplet-even strength can be constrained in a narrow range by using the available experimental data, while further empirical data are needed to set a constraint on the triplet-odd term. C.L. Bai, H. Sagawa, G. Colë, H.Q. Zhang, and X.Z. Zhang. Spindipole excitations in 16O and tensor correlations. Phys. Rev. C, pages 044329/pp.1-6, 2011. The multipole dependent effects of tensor correlations on the charge-exchange SpinDipole (SD) in the light nuclei 16O are studied by Hartree-Fock(HF) plus RandomPhase-Approximation(RPA) calculations based on Skyrme interaction. The our choice of tensor terms produce hardening of 0− and 2− state, while a softening state, while a softening of 1− states which improves the agreement with experiment. These effects can be qualitatively understood by the same formulas used in medium and heavy nuclei. The summed strength of RPA with and without tensor force and the unperturbed are studied. S. Watanabe. Jacobi polynomials and associated reproducing kernel Hilbert spaces. Journal of Mathematical analysis and applications, 389:108 118, 2012. This paper deals with a generating function of the Jacobi polynomials that satisfies the following properties (I) and (II). (I) The generating function is the kernel of an integral operator that is unitary. (II) The image of the unitary operator is a reproducing kernel Hilbert space of analytic functions and the reproducing kernel is given as a special value of the generating function above. The purpose of this paper is to give a generating function that satisfies (I) and (II). Takao Maeda and Takafumi Hayashi. Parameterization of Perfect Arrays of Real Numbers. IEICE Transactions on Fundamentals of Electronics, Communications and Computer Sciences, E94-A(11):2178-2187, 2011. A perfect array is an array for which the autocorrelation function is impulsive. A parameterization of perfect arrays of real numbers is presented. Perfect arrays are represented by trigonometric functions. Three formulae are obtained according to the parities of the size of the array. Examples corresponding to each formula are shown. In the case of 6 shown. In the case of 6 × 6 arrays, the existence of a set of perfect arrays having integer components is shown. Takao Maeda and Takafumi Hayashi. Parameterization of Perfect Sequences of Real Numbers. IEICE Transactions on Fundamentals of Electronics, Communications and Computer Sciences, E94-A(6):1401-1407, 2011. T. Watanabe. Asymptotic properties of Fourier transforms of bdecomposable distributions. J. Fourier Analysis and Application, to appear, page 25 pages, 2012. Erdos-Kahane numbers (EK numbers) are introduced in relation to the decay of the Fourier transforms of non-symmetric Bernoulli convolutions. The PV, PS, and EK numbers are characterized by using the function Hb(u) of a certain trigonometric series. The relations between those numbers and the asymptotic properties of the Fourier transforms of full b-decomposable distributions are shown. A sufficient condition for the absolute continuity of one-dimensional b-decomposable distributions is given. As an application, an open problem on the uniform decay of the Fourier transforms of refinable distributions, raised by Dai, Feng, and Wang (2007), is solved. Finally, temporal evolution on continuity properties of distributions of some Levy processes is discussed. M. Yamagami, J. Margueron, H. Sagawa, and K. Hagino. Local energy density functional for proton pairing correlations. RIKEN Accel. Prog. Rep. 45, page in press, 2012. We investigated the effect of Coulomb force in proton pairing correlation within the framework of the local energy density functional (EDF). By taking into account the reduction effect for proton pairing correlation, we proposed two renormalization schemes; 1) reduction of proton pairing strength, and/or 2) scaling of the linear isovector-density dependence in the pairing channel of EDF. We examined the accuracy of the renormalization schemes by analyzing all available experimental pairing gaps. M. Yamagami, J. Margueron, H. Sagawa, and K. Hagino. Density dependence of pairing correlations determined by global fitting. RIKEN Accel. Prog. Rep. 44, page 37, 2011. The local energy density functional (EDF) for description of pairing correlation in neutron-rich unstable nuclei is considered. By analyzing available experimental pairing gaps in medium-mass number region around 156Dy, we pointed out the necessity of both the linear and quadratic term of the isovector-density terms of EDF in addition to the usual isoscalar-density term. H. Sagawa and K. Hagino. Pairing correlations and anti-halo effect in weakly bound nuclei. In Proc. of YKIS2011 Symposium on Frontier Issues in Physics of Exotic Nuclei, pages 1-6, 2011. We study the odd-even staggering (OES) in reaction cross sections of weakly bound nuclei with a Glauber theory, taking into account the pairing correlation in the Hartree-Fock-Bogoliubov (HFB) method. We show that the pairing gap persists in the limit of zero separation energy limit even for single particle orbits with the orbital angular momenta l &equals; 0 and l &equals; 1. We introduce the OES parameter defined as the second derivative of reaction cross sections with respect to the mass number, and clarify the relation between the magnitude of OES and the neutron separation energy. We find that the OES parameter increases considerably in the zero separation energy limit for l &equals; 0 and l &equals; 1 single-particle states, while no increase is found for higher angular momentum orbits with e.g., l &equals; 3. We point out that the increase of OES parameter is also seen in the experimental reaction cross sections for Ne isotopes, which is well accounted for by our calculations. Takao Maeda, Shigeru Kanemoto, and Takafumi Hayashi. Pulse Compression for Radar using Zero-Correlation Zone Sequence Sets. In Proceedings of 2011 IEEE International Geoscience & Remote Sensing Symposium, pages 3440-3443. IEEE, Julyl 2011. The present paper introduces a new approach to the application of sequence set with a zero-correlation zone to the pulse compression of radar. The proposed sequence set has a zero-correlation zone for both periodic and aperiodic correlation functions. The sequences of the proposed scheme can be constructed from a pair of Hadamard matrices of the orders n0 and n1. The constructed sequence set consists of n0n1 ternary sequences, each of length n0(m&plus;2) (n1 &plus; Δ;), for a non-negative integer m and Δ ≥ 2. The zero-correlation zone of the proposed sequences is |γ| ≤ n0m+1 − 1, where γ is the phase shift. The inter-subset zero-correlation zone of the proposed sequences is |γ| ≤ Λ n0m+1, where γ is the phase shift. The proposed scheme can improve radars using the zero-correlation property of the sequence set. Takafumi Hayashi, Takao Maeda, Shigeru Kanemoto, and Shinya Matsufuji. A novel Construction of Zero-Correlation Zone Sequence Set with Wide Inter-Subset Zero-Correlation Zone. In Proceedings of the Fifth International Workshop on Sinal Design and Its Applications in Communications, pages 25-28. IEEE, October 2011. Kazuto Asai. Ramified paths, ideal-tableaux, and JacobiTrudi-type s-determinants. preprint, 2011. Kazuto Asai. The group generated by gamma functions Γ(ax &plus; 1), and its sungroup of the elements converging to constants. preprint, 2011. Kazuto Asai. Homogeneous partial differential equations, omega operators, and superpositions of indeterminate functions. preprint, 2011. H. Sagawa. Ministry of Education Scientific Research Fund (C), 2008-2011. Takehito Mentani. Analysis of the distribution of radioactive materials based on air radiation measurements. Graduation thesis, School of Computer Science and Engineering, 2012. Masaki Fujita. Simulation of the Burridge-Knopoff Model for Earthquakes by Cellular Automata. Graduation thesis, School of Computer Science and Engineering, 2012. Hiroshi Tsumuraya. Simulation of Critical Phenomena in Percolation. Graduation thesis, School of Computer Science and Engineering, 2012. Takashi Kato. Hubble and Age of the Universe. Graduation thesis, School of Computer Science and Engineering, 2012. Keisaku Baba. Birth and the Future of the universe. Graduation thesis, School of Computer Science and Engineering, 2012. Ryo Taguchi. Implementation of quantum teleportation and features of non-linear opticval crystal. Graduation thesis, School of Computer Science and Engineering, 2012. Takuyuki Miura. How to determine the age of the universe. Graduation thesis, School of Computer Science and Engineering, 2012. Hiroyuki Chonan. Physical background of the expansion of the universe. Graduation thesis, School of Computer Science and Engineering, 2012. Yuta Hirakuri. Simulations of Quantum Search Algorithm. Graduation thesis, School of Computer Science and Engineering, 2012. Ryu Koizumi. Development of new teaching materials that use history of mathematics. Graduation thesis, School of Computer Science and Engineering, 2012. 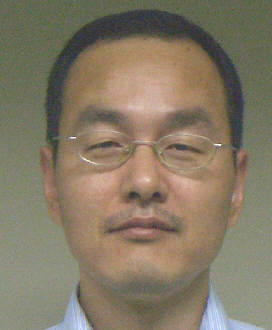 Yasuhiro Yamamoto. A New Teaching Approach that Uses the History of Mathematics. Graduation thesis, School of Computer Science and Engineering, 2012. Nobuyuki Dobashi. New special functions defined by Hermite polynominals. Graduation thesis, School of Computer Science and Engineering, 2012. Yuta Shiroishi. New Education Approach by Using History of Mathmatics. Graduation thesis, School of Computer Science and Engineering, 2012. Hiroyuki Kobayashi. History of Integration as a Teaching Approach. Graduation thesis, School of Computer Science and Engineering, 2012. Yuta Kanke. New Special Functions Defined by Legendre Polynomials. Graduation thesis, School of Computer Science and Engineering, 2012. Takuma Hayakawa. A longwave simulation using One-dimensional Wave Equation. Graduation thesis, School of Computer Science and Engineering, 2012. Motoki Oohashi. Consideration about trajectories of a meteorite, the moon and the earth. Graduation thesis, School of Computer Science and Engineering, 2012. Asami Nakashima. Research of the wave motion phenomenon towards presumption of the earthquake scale. Graduation thesis, School of Computer Science and Engineering, 2012.